Do patients benefit from tourniquet in arthroscopic surgeries of the knee? To undertake a meta-analysis of randomized controlled trials to determine whether routine use of a tourniquet is a better choice for knee arthroscopic procedures. 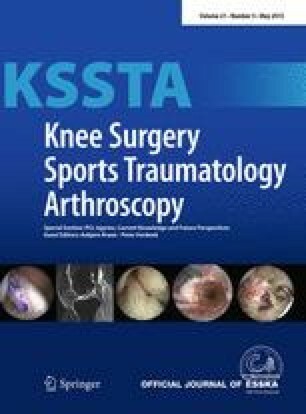 Randomized controlled trials which evaluated the application of a tourniquet were selected, gathering information about arthroscopic visualization and operative time. The random-effects meta-analysis was performed using relative risk calculated from the raw data. A total of five eligible studies were selected in this meta-analysis with 471 participants. There was no significant difference in visualization or operative time between the tourniquet and the non-tourniquet group. There is insufficient evidence to support the hypothesis that patients would benefit from routinely applying a tourniquet. The use of a tourniquet did not show any advantage to arthroscopic procedures. Therapeutic randomized controlled trials, Level I.